Yep, the snow just melted but already we’re fast approaching the end of the line for the most prized posession of Summer 2013! I’m of course talking about East Hampton Village Beach permits. While the price has risen to $375.00 for this coming season, that hasn’t stopped the rush. While town permits for East Hampton Town and Southampton Village and Town beach permits are unlitmited and they don’t run out, EHV sells about 3000. As of today, there are only about 300 or so permits left. So, if you’re curious how to get a permit and where you can use them, click here. That means there are only about 10% left, sadly I had to use a calculator to figure that out. So unless you want to bike to beach after that Fly Wheel spin class you better hurry!!! So, while Summer is right around the corner that got me to thinking is it really that bad out here during the season? I mean are the lines at the Golden Pear any longer … are the waiters and waitresses less patient… is the parking lot at King Kullen any less aggressive? Well in my 3rd and final chat with author Steven Gaines and film reviewer and stand up comic Bill McCuddy we addressed the very nature of Hamptons culture… RIGHT OR RUDE!? Which also happens to be the name of Bill’s new web page and facebook fan page. Check it out and let me know what you think. Hi guys, I normally don’t post on Saturdays but what the heck. It’s Oscar Weekend in Hollywood and since we here in the Hamptons have our fair share of residents attending, I thought it was worth a bonus Hamptons Chatter on the connection between the two. Yeah, I know this isn’t quite the quality of say the Today Show but we’ll get there soon. It’s been a long time since I did anything like this and my editor is doing his best to make us all look good. So, that being said my second VIDEO blog. Is it a little wacky and rambling, yes. But I hope you enjoy anyway. A special thanks to my former anchor Bill McCuddy for doing this along with Steven Gaines, Author of Philistines at the Hedgerow. So live from my kitchen… Hamptons Chatter! Well some interesting things have developed with me in the past few weeks. I have decided after almost a decade with Douglas Elliman real estate in a management position to become a full time agent with the company. So what does that mean to you? It means I’m going to have more time to blog and help buyers and sellers with their needs in the Hamptons. So, if you or anyone you know is looking to buy or sell out east , make sure to let me know! Anyway, rentals seem to be on fire lately. I personally am up by about 30% more year to date on the number of rentals I’ve done. But its funny so many people in the Hamptons will put their houses on the market for rent but not understand how it’s done. So, I’m doing a little beginners guide here for the potential landlord and some terms you should know! 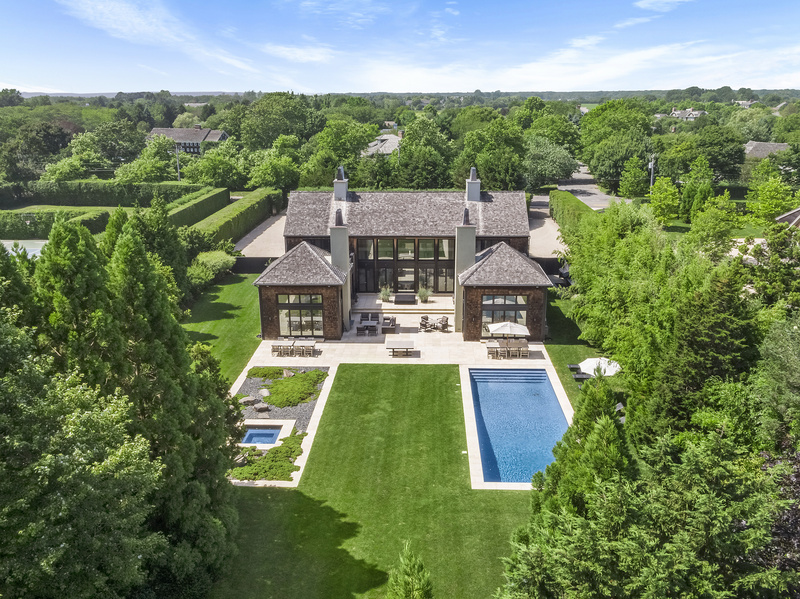 The open listing – Many rentals in the Hamptons are what they call open listings, meaning each company has their own data for summer rentals and that information is not shared electronically, like an exclusive sale. That’s not to say that agents don’t talk and share information but it’s not coming from one central source. This is why you may see the same home listed for different prices and time periods on varying web sites. You can indeed make it an exclusive and make sure access is limited but often this may discourage some agents from showing your house over another where they will make the lion’s share of the commission. My suggestion is give your rental listing to an agent you trust and ask them to send out a “courtesy” listing to some select agents at other companies. This way you’re competitive and the agents are all getting the same information. Permits baby! – As with anything in life you have obligations and responsibilities when you become a landlord. Claiming ignorance if you should be sued is not a defense and they have a tendency to go all “Judge Judy” when you go and try to use this as a defense. Make sure you know the rules before you decide to sign that lease. Make sure you google the regulations for what is acceptable and when renting in Southampton make sure you have a permit. I’ve heard stories of tenants suing their landlords for silly reasons at the end of the season and getting their entire rent refunded because the landlord didn’t have a permit. Yes, people rent without permits but is it worth the risk? That is your call. Credit Call – Remember those stories about the guy who was renting Hamptons houses for High School proms only to trash them and leave the landlords holding the bills. You don’t?! Then you want to make sure your prospective tenant isn’t hat guy has the funds to pay the rent and pay any potential damages. It’s really no big deal and doesn’t take much time at all. Here is one (tenant screening report) I just googled as I was writing this blog! It’s not an endorsement but just an illustration of how easy this is to obtain. Call the Pros!!! – When it comes to insurance, the tax liability and the legal rights within your lease, call the prospective professionals. The lawyer, the tax professional and an insurance broker are your best friends when it comes to keeping your self protected. While many agents will give you advice, do yourself a favor, call a pro!!! Meanwhile, the fur is flying in the Hamptons over all things… poop! In case you missed it in the NEW YORK POST last week (even my sister in Florida saw it), there is new push to ban dogs from the beach! So who has a bone with Russell and Bella??? Well recently I had a few friends stop by and we discussed the issue at hand.